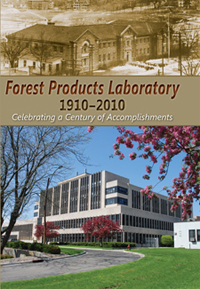 "Forest Products Laboratory 1910-2010, Celebrating A Century of Accomplishments" - compiled by John Koning. The 9" by 12", hard cover, coffee table book is 532 pages, with more than 500 colored photos, 300 + black & white photos, and descriptions of FPL research accomplishments. It also contains a list of most of the people who have worked at the FPL over its 100-year history.